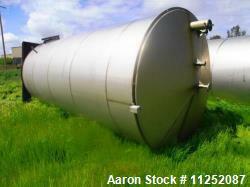 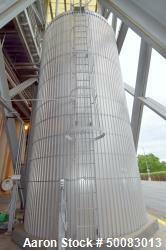 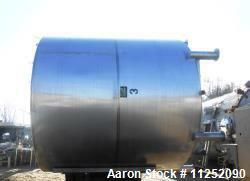 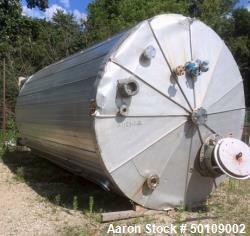 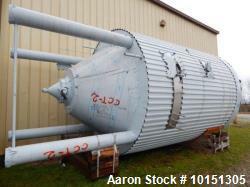 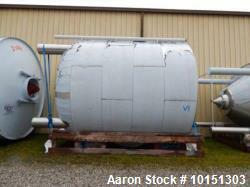 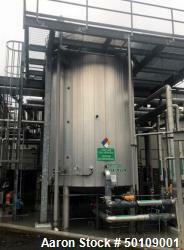 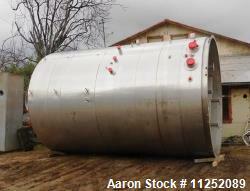 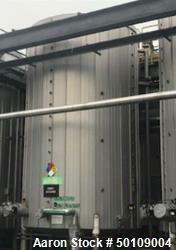 Used- Approximately 12,000 Gallon Jacketed Stainless Steel Vertical Tank. 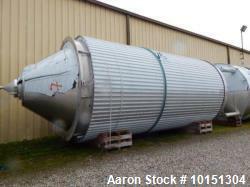 9' diameter x 29' straight side. 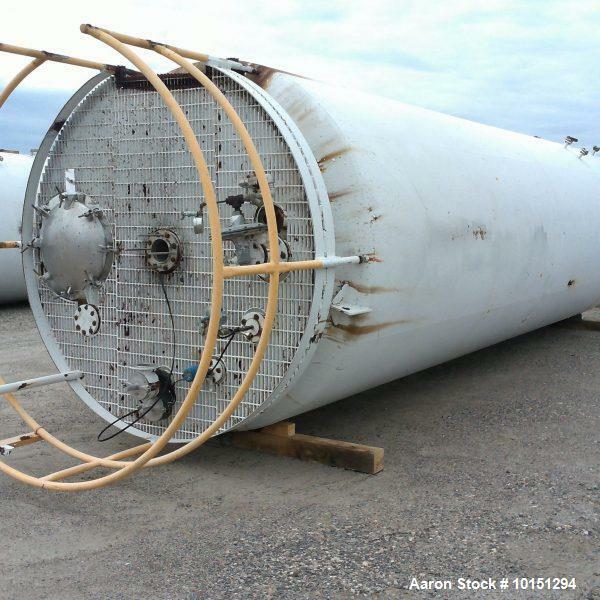 With flat top and cone bottom. 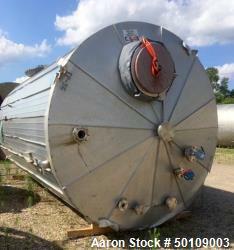 On legs.